Whether it’s classics like “White Christmas” or a “Christmas Carol,” or something more contemporary like “Elf,” there are plenty of holiday-themed shows to check out in metro Atlanta. From family-friendly to more serious, a live performance can be the perfect way to spend time with loved ones and get into the holiday spirit. Miss Bennett: Christmas at Pemberley is now showing at the Theatrical Outfit. It’s a comedic sequel to Jane Austen’s beloved tale “Pride and Prejudice.” Visit your favorite characters at Mr. and Mrs. Darcy’s estate, Pemberley. It’s on stage until Dec. 23. The timeless movie “White Christmas” is adapted for the stage in a lavish new production that the New York Times says to “put on your wish list.” Irving Berlin’s White Christmas tells the story of a song-and-dance team putting on a show in a magical Vermont inn and falling for a stunning sister act in the process. Full of dancing, laughter and some of the greatest songs ever written! Give everyone the gift they’re dreaming of with this merry and bright holiday musical. 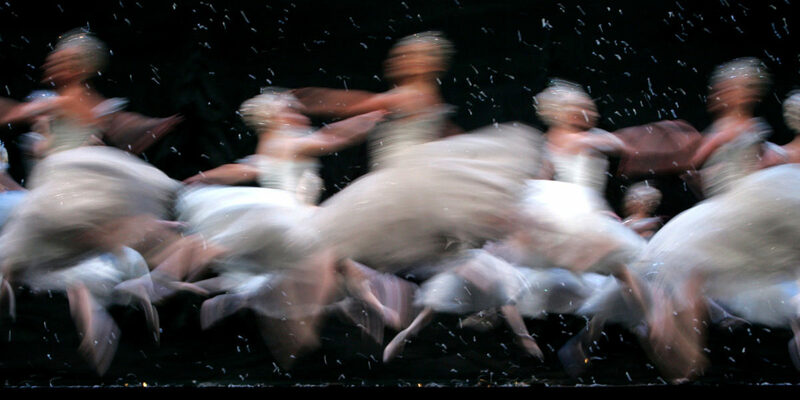 Join The Georgia Ballet for its annual production of the holiday classic ballet “The Nutcracker.” This time-honored winter favorite is sure to enthrall all with dueling soldiers, enchanting fairies, exquisite dancing snowflakes and an absolutely magnificent growing Christmas tree. Watch the journey of Clara, a charming little girl, as she makes her way into the Land of Sweets. Each year, the ballet continues to grow and evolve. Miracle on 34th Street opens next week at Lionheart Theatre in Norcross. It’s the story of Kris Kringle – the personification of good will and holiday spirit. Based on the beloved holiday film, this hilarious fish-out-of-water comedy follows Buddy the Elf in his quest to find his true identity. Buddy, a young orphan, mistakenly crawls into Santa’s bag of gifts and is transported to the North Pole. The would-be elf is raised, unaware that he is actually a human, until his enormous size and poor toy-making abilities cause him to face the truth. Finally, for the 29th year, the Alliance Theatre is putting on a production of “A Christmas Carol” at the Cobb Energy Performing Arts Center. Shows start on Dec. 12 and continue through Christmas Eve. David Stephens’s All Hands Productions returns to the stage this holiday season with an encore presentation of “Santa’s Missing Mail.” Ominous Crook and his sidekick, Skellmutt, are two dastardly bad-guys who are out to stop Christmas by stealing Santa Claus’s mail.